so the chef and i have been lacking significantly in the culinary department these last couple months. third year of medical school is time consuming. he spent the last eight weeks on a surgical rotation (at the hospital nearly twelve hours every day. boo.) and i was finishing up finals and projects for my first semester of grad school. 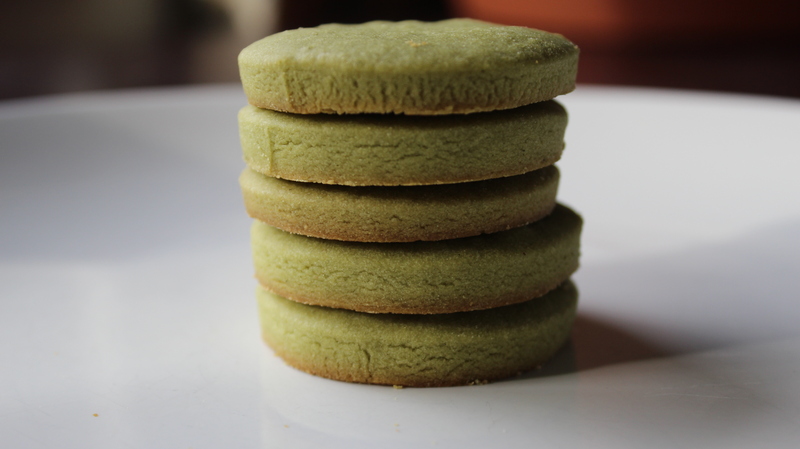 as soon as school was over we took off for two lazy weeks with the chef’s family in colorado – then a few days in california where i had the most delicious matcha shortbread cookies. like twenty of them in one day. we visited the japanese side of the family in sacramento on new years day; think family potluck for forty plus. 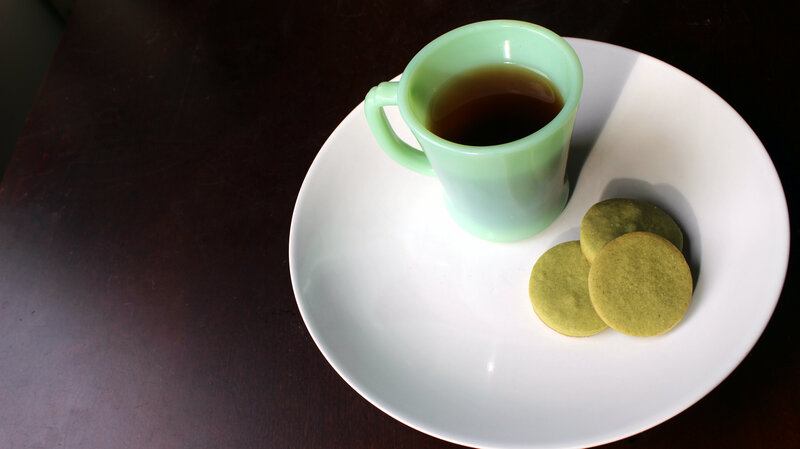 all the sushi, octopus, and cha siu you could imagine – and two recipes i had to save instantly: a cabbage/ramen salad (a post for another day) and these cookies. they’re so simple i made them all by myself. no chef required! 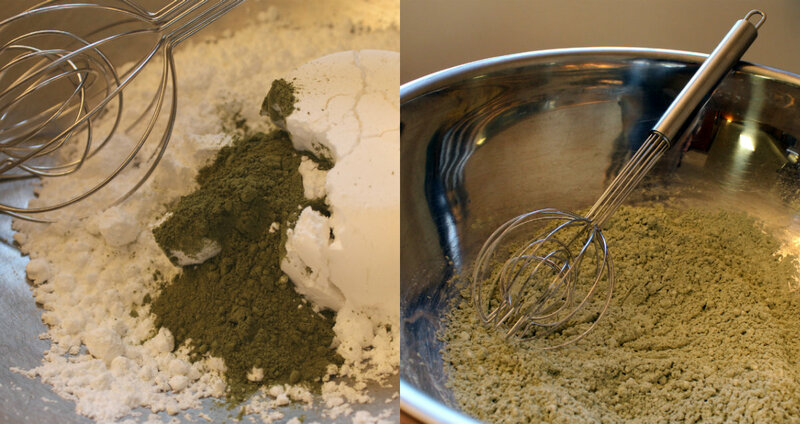 whisk the matcha and confectioners sugar together. 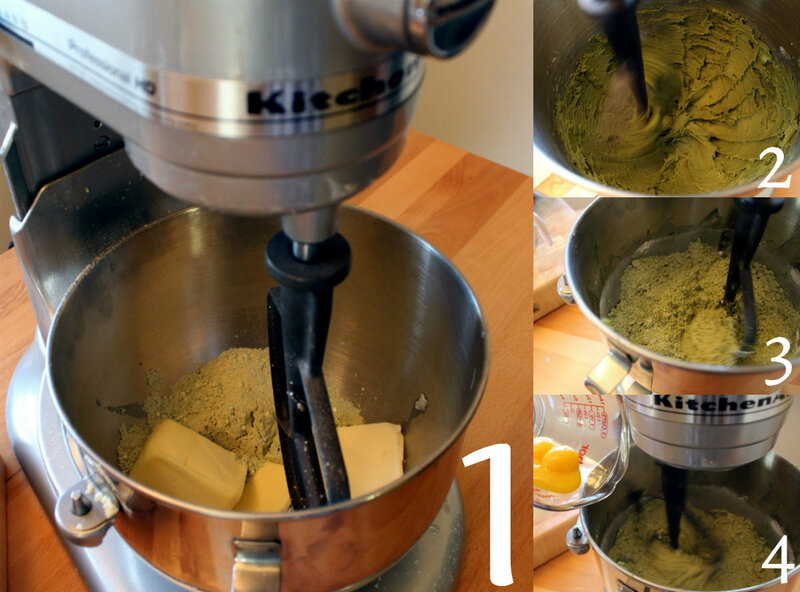 1. put matcha/sugar mix in mixer with butter. 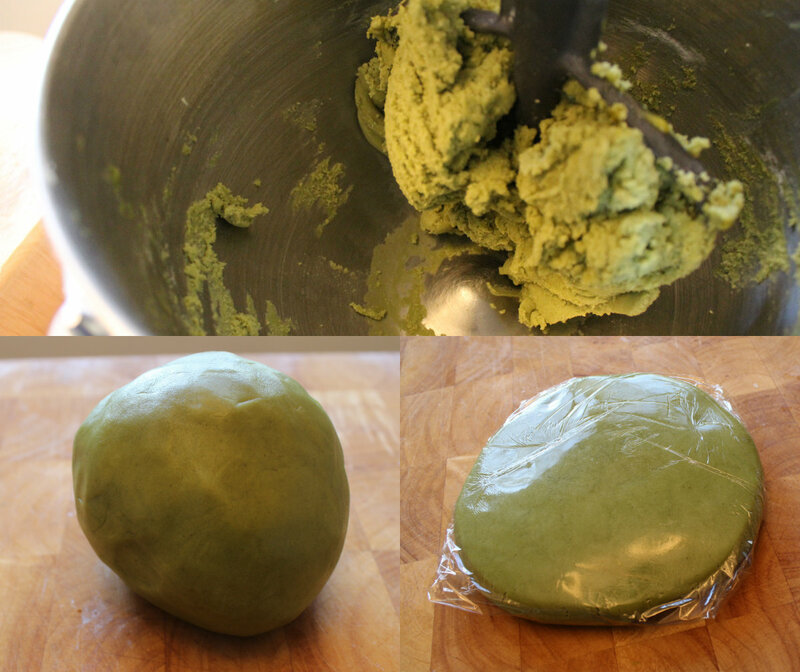 2. mix until it’s real green and clay like. 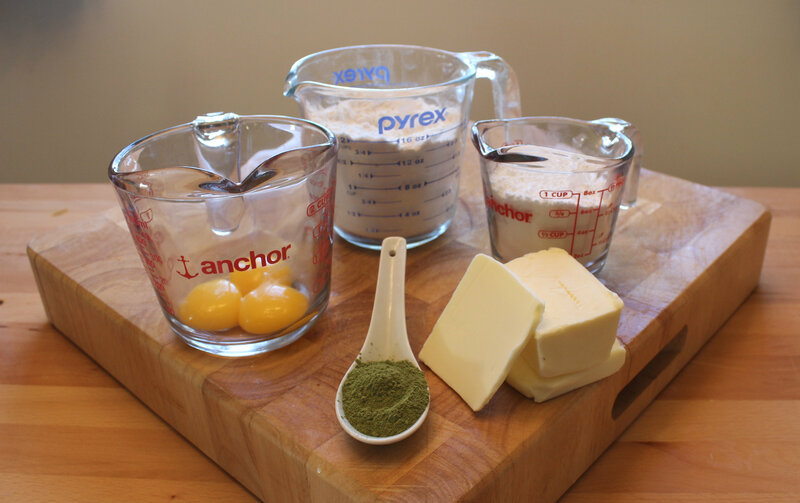 3. add in flour and mix. 4. add in egg yolks and mix. now get all that dough out, roll in into a ball, lay it on some plastic wrap, flatten it into a disk and pop it in the fridge for 30 minutes. 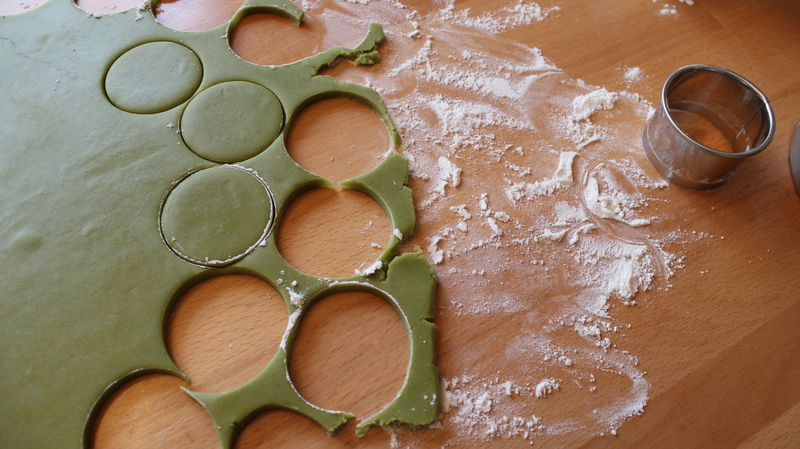 when the dough’s ready, preheat the oven to 350, sprinkle some flour on your table and roll it out. 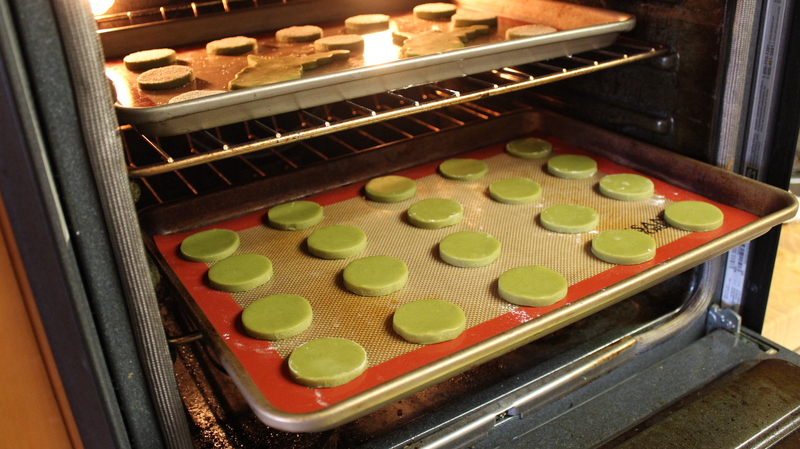 you can put regular sugar on top of the cookies before they bake if you want. i didn’t; i think the’re perfect as is. now into the oven for about 15 minutes. 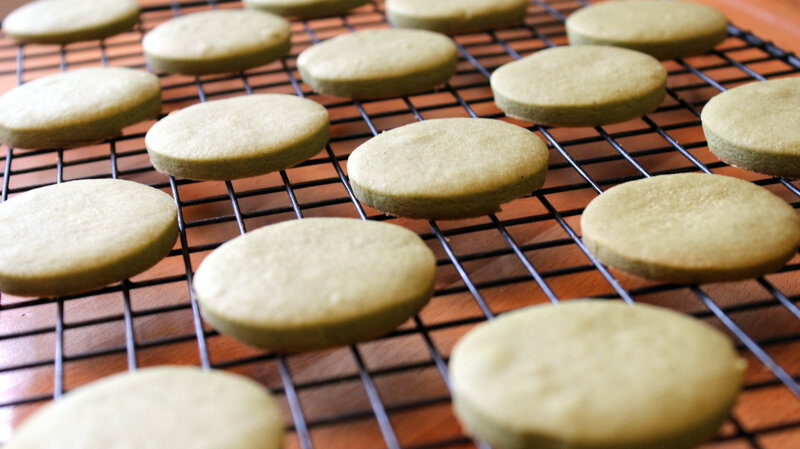 when they come out, let them cool for a while – then you’ll want to keep them in an airtight container. i think they key to knowing they’re done perfectly is the golden edges around the bottom. they’ll still be a little soft when you pull them out, but they harden quickly. shout out to the chef’s cousin olivia for the recipe. she made 120 for the family; this recipe makes about two dozen. 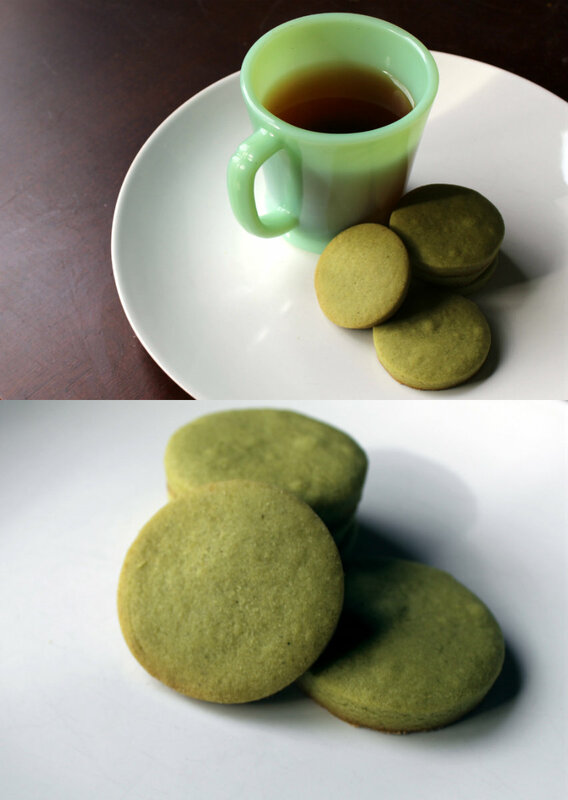 I’m definitely going to make these…but what is matcha and where do I find it? it’s a japanese green tea. 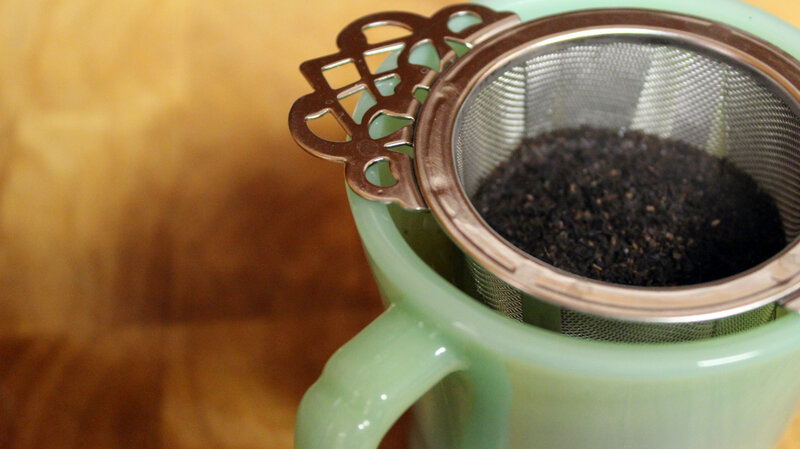 instead of dried tea leaves, it’s a powder — you whisk it in your hot water to make tea…. or add it to cookies 😉 xoxo!